I’m not quite sure how to categorise this story. It’s a shifter story narrated by a human who doesn’t know shifters exist. It’s a murder mystery whodunnit, but we know who the villain is almost from the start. There are a couple of scenes which might push this into the horror genre – but on some level, this is also an m/m romance. All in all, this story left me a little bewildered. This story is told from Thad’s perspective. I found Thad likeable but incredibly ordinary. Complete with chihuahua, his life fits every ‘gay in Seattle’ stereotype possible. At times, I enjoyed the way the supernatural/horror/murder mystery storylines play out against Thad’s mundane reality. But there were other points in this story where I was bored, wanting much less of Thad and Jared and much more of Sam and his family. If this were more of a literary novel, I think the unknowing narrator would work as a technique. But in a horror, I need my leading man to be memorable. In a romance, I want reasons to fall in love with my leading man. For me, Thad was entirely forgettable. Sam fascinated me. There were so many moments where I wanted more of him and his family. I needed details. I wanted to know all about his family dynamics and I wanted to know what he was thinking. I wanted urban fantasy world building. But readers really only get Thad’s fragmented perspective on Sam. For me, this is the most confusing part of this book. I really don’t understand why the writer spends so much time on Thad and the equally mundane Jared when Sam has the potential to be a fabulous and original character. For me, the shifter/horror/mystery elements of this book work better than the romance elements. I enjoyed the suspense and Thad and Jared’s interactions with the murderer. As for romance, I felt there was too much going on in the book for the central relationships to fully develop or ever feel convincing. I liked the uncertainty as Thad chose between Jared and Sam, but I honestly didn’t have a preference by the end. 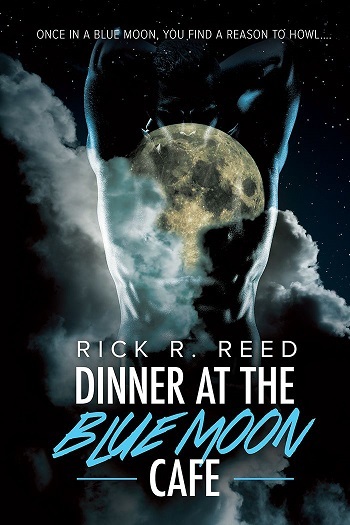 Reviewers on the Wicked Reads Review Team were provided a free copy of Dinner at the Blue Moon Café by Rick R. Reed to read and review.